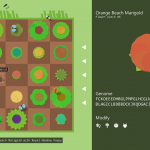 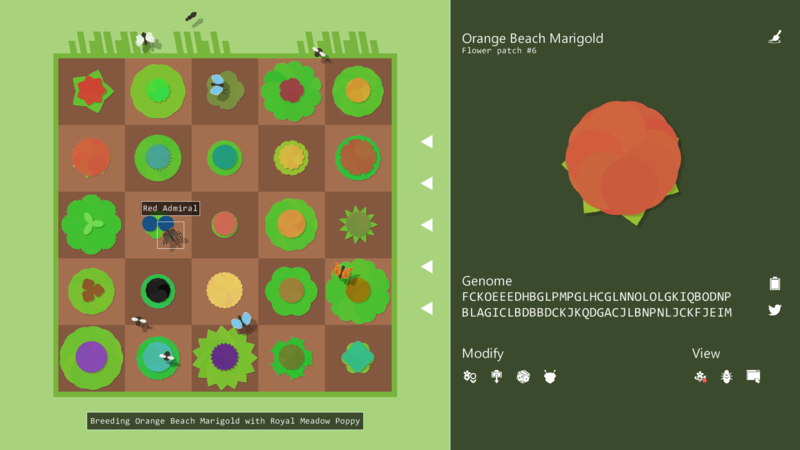 Manage your own little miniature garden complete with randomized plants and marvelous mini-beasts. 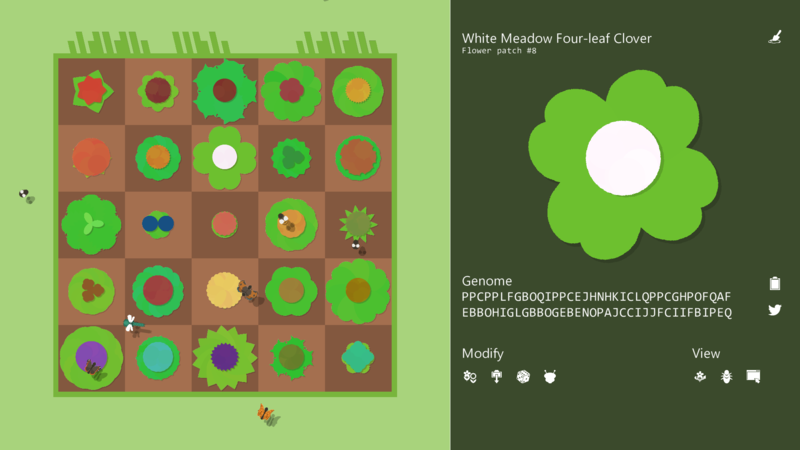 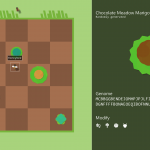 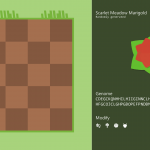 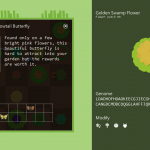 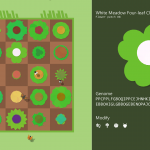 In this relaxing sandbox game you can create your own flowers by randomizing them, mutating them, breeding them with flowers you’ve already planted or even paste a flower that someone else has shared on Facebook or Twitter. 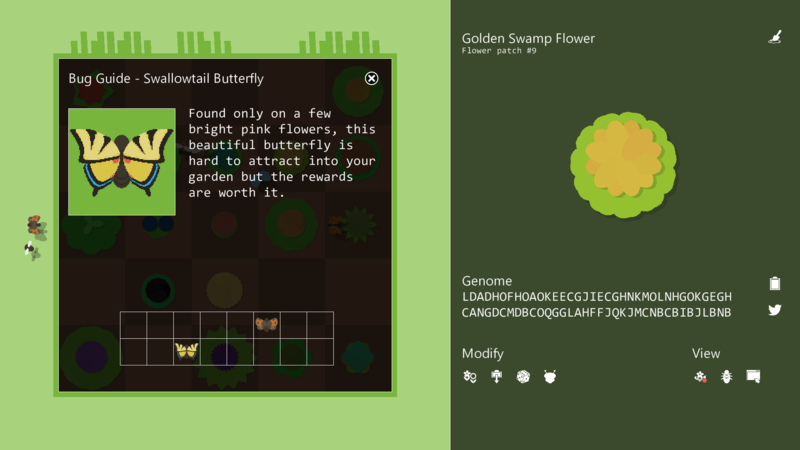 Different flowers will attract different bugs to your garden, there are 16 to collect! 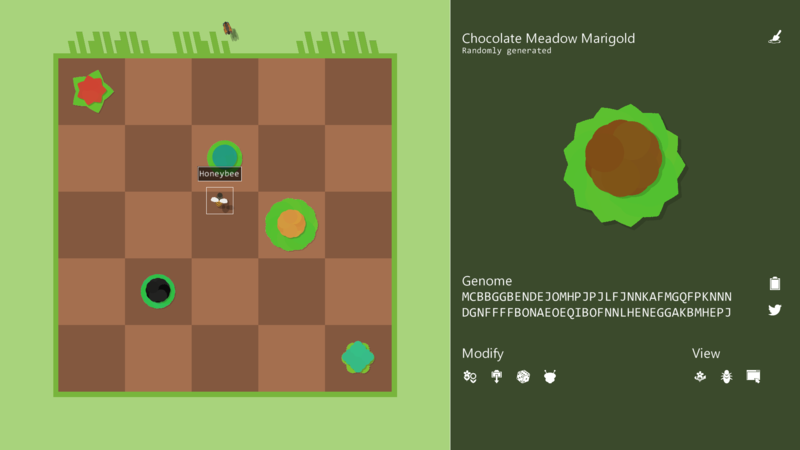 Made in a week or so just for fun, but if you like the idea please show us some support and we’ll add to the project!